The present RSS/BJP rulers are using every dirty trick to hide the fact that blood thirsty criminal, perpetrator of the Pulwama massacre, Azhar Masood is roaming free thanks to the Atal Bihari Vajpayee government which was ruling India in 1999. Instead of discussing who gave new lease of life to this sadist criminal who was also the master mind behind the hijacking of Indian Airlines Flight 814 (coming from Kathmandu, Nepal to Delhi) to Kandahar, Afghanistan in December 1999, Mumbai terror attack in 2008, attack on Indian Parliament in 2001 and Pathankot Air Force attack in 2016 and now of course, Pulwama massacre, RSS/BJP government is discussing Nehru and China. The latest is Arun Jaitley’s claim, a blatant lie, that it was due to Nehru ‘favouring China’ that the latter got a berth at the Security Council. They believe discussing China would divert attention from the past criminal deeds of the Hindutva rulers. Arun Jaitely must tell the nation how Azhar Masood who was captured by the intelligence agencies of Congress Government in 1994 was released by Atal Bihari Vajpayee Government in 1999, that too, unconditionally. It was Indian Government led by senior RSS ideologue and leader, Atal Bihari Vajpayee in December 1999 which gifted this monster to perpetrate massacres not of Indian army personnel but large number of civilians. This chronic hate-monger entered Indian Kashmir in order to give impetus to the terrorist activities in the Valley in early 1990s but was arrested in February 1994 when Congress ruled the country. He was incarcerated in the Kot Bhalwal Jail, Jammu, to face charges of war against India which could lead to his hanging. Shockingly, this scum was released in exchange for the passengers of IAC’s plane which was hijacked on the eve of X-Mas, December 24, 1999. He was released with two other dreaded terrorists, namely, Ahmed Umar Saeed Sheikh and Mushtaq Ahmed Zargar who too organized large scale killings in the Valley. They were released unconditionally as per the demand of the Taliban patronized JeM. These terrorists were picked up from the Kot Bhalwal Jail and put up in a special plane to Taliban controlled Kandahar, Afghanistan accompanied by the then foreign minister, Jaswant Singh. Indian minister, a darling of RSS then personally handed over these terrorists to the Talibans, who were negotiating on behalf of the hijackers, on December 31. The hijackers were subsequently allowed to sneak into Pakistan by the Taliban militants. Incidentally, the current National Security Advisor, Ajit Doval was the IB chief at that time who also headed the 4-member Indian negotiation team at Kandahar which led to the release of these dreaded terrorists! 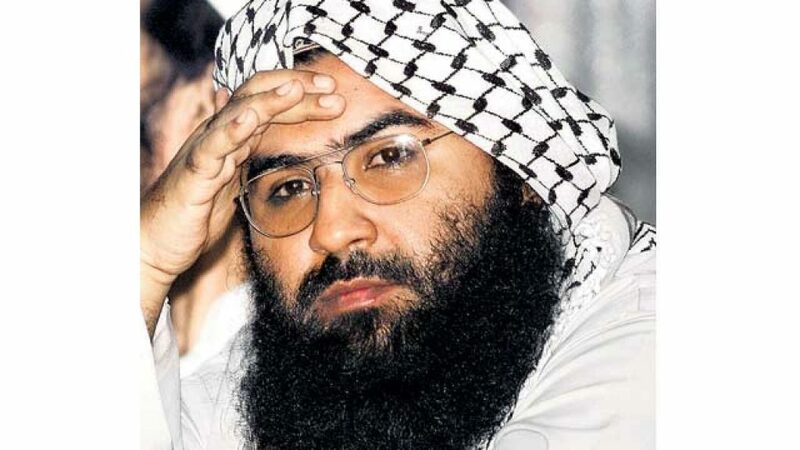 The moral of Jaitley’s wisdom is that China is the biggest patron of Islamist terrorists like Azhar Masood who continues to use Pakistan as safe haven for attacking India. If it is true then Modi Government should have severed all relations with China, minimum could be done, was recalling of Indian envoy from Beijing. On the contrary reality is that Modi Government has more than cordial relations with China, the global patron of Azhar Masood. What to talk of sending a protest/warning letter to Beijing, out PM continues to meet Chinese President in different world forums.The highest statue of the world, named as Statue of Unity of Sardar Patel was not made in India but in China. The expansionist China continues to occupy hundreds of miles of Indian territory but there has been no protest from the Modi Government. In June 2017 China stopped Mansarovar pilgrimage through Nathu-la Pass in Sikkim but there was no protest from Modi or his Government. Modi Government continues to buy lakhs of mats for its Pet-Yoga project. Nehru who fought a war against China in 1962 is declared to be a supporter of China and Modi dispensation which continues to kowtow the Chinese expansionists in every field is patriotic! SHARM INKO MAGAR NAHEEN AA-TEE! Interesting argument exposing the senior RSS leader who along with others allowed Azhar Masood to escape justice by the then government by allowing the terrorist to take shelter in Kandahar thanks to the then government. China led world bank AIIB is running with india as a member. Long live india china relation.